Edith Hahn was an outspoken young woman studying law in Vienna when the Gestapo forced Edith and her mother into a ghetto, issuing them papers branded with a "J." 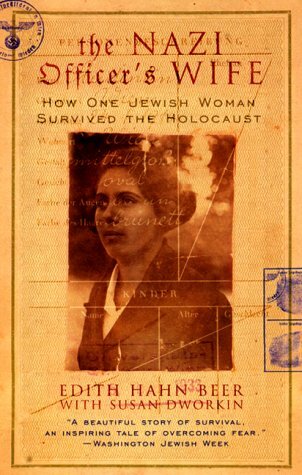 Soon, Edith was taken away to a labor camp, and though she convinced Nazi officials to spare her mother, when she returned home, her mother had been deported. Knowing she would become a hunted woman, Edith tore the yellow star from her clothing and went underground, scavenging for food and searching each night for a safe place to sleep. Her boyfriend, Pepi, proved too terrified to help her, but a Christian friend was not: With the woman's identity papers in hand, Edith fled to Munich. There she met Werner Vetter, a Nazi party member who fell in love with her. And despite her protests and even her eventual confession that she was Jewish, he married her and kept her identity secret. In vivid, wrenching detail, Edith recalls a life of constant, almost paralyzing fear. She tells of German officials who casually questioned the lineage of her parents; of how, when giving birth to her daughter, she refused all painkillers, afraid that in an altered state of mind she might reveal her past; and of how, after her husband was captured by the Russians and sent to Siberia, Edith was bombed out of her house and had to hide in a closet with her daughter while drunken Russians soldiers raped women on the street. Yet despite the risk it posed to her life, Edith Hahn created a remarkable collective record of survival: She saved every set of real and falsified papers, letters she received from her lost love, Pepi, and photographs she managed to take inside labor camps. 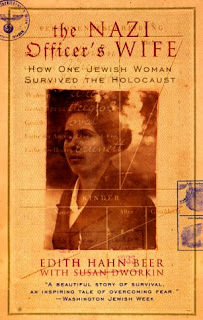 Review: Edith Hahn was an Austrian Jew whose family was not overtly religious-they did not speak Yiddish and rarely went to temple. Edith was a law student when the war started and while her sisters and some family members were able to leave Austria, Edith chose to stay to be with her mother and boyfriend, Pepi. After being denied the ability to take her final law exam, she was eventually sent to a labor camp (farm work). She was eventually sent back to Vienna and told to report on a certain date to go to a 'Polish work camp.' Realizing this could be her demise, she was able to secure a Christian identity from a good friend, and she traveled to Munich. At this point she became a U-Boat, a Jewish woman hiding in plain site. She eventually attracted the attention of a Nazi party member (he is not initially an officer) and even after telling him the truth, they get married and have a child. I found this book absolutely fascinating. I've read a lot of WWII books and this was a different perspective. I think what Hahn really excelled at was capturing the 'shades of grey' so to speak, especially regarding her Nazi husband. He helped her, he helped her friends, but he was not a saint by any means. I loved the small acts of kindness by some of the people, especially the Nazi who explained exactly how she needed papers to hide in plain sight. And her friend who allowed her to use her identity papers-simply amazing. I wish there was an epilogue or some quick update with more details about her life after the war, but I understand this was a story about the war. She talked about her experience one time after it happened, and didn't discuss it again until her daughter found all her letters with Pepi (they kept in touch for years).